Kesineni Cargo Carriers was started in 1996 as an associate of Kesineni Tours and Travels. 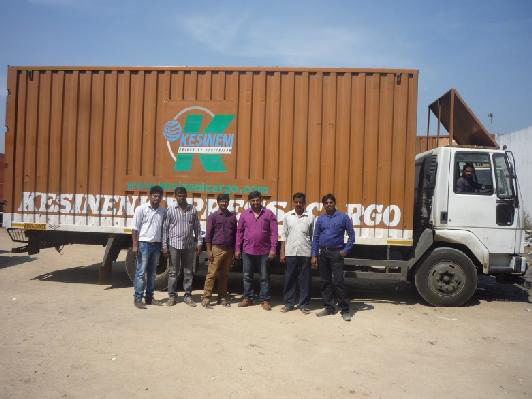 Kesineni Cargo is a cargo and logistics organization in premium category having the most expansive network in the states of Andhra Pradesh, Karnataka, Maharashtra, Goa, Tamil Nadu, Gujarat and starting soon in Delhi and the National Capital Region (NCR). Kesineni uses a hub-and-spoke model to speed up deliveries and reduce costs. Using this model, cargo is collected from its point of origin (collection centers) and transported to the local hub (branch). The shipment is then sorted and loaded into trucks and sent to destination hubs,where they are again dispatched to delivery centers. Many of Kesineni customers are large corporate customers who rely on Kesineni for timely delivery of cargo in a safe and efficient manner. Kesineni has main hubs in Hyderabad, Mumbai, Vijayawada, Bangalore, Visakhapatnam,Tirupati and Chennai which handle collection and redistribution. Smaller hubs or branches are located between major hubs. For example, the Bangalore – Hyderabad route has branches like Kurnool, Anantapur, and Dharmavaram. 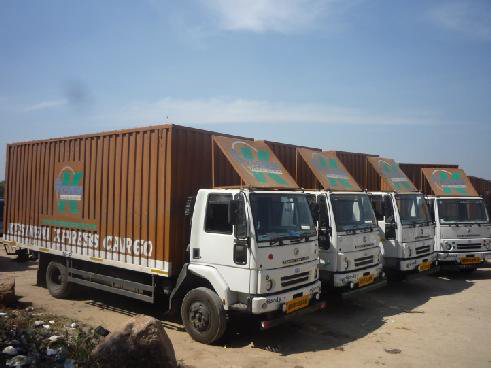 A cargo vehicle en-route from Hyderabad to Bangalore picks cargo from Hyderabad hub and drops and picks-up cargo in all en-route branches before arriving at Bangalore hub. On the way back to Hyderabad it picks all cargo from Bangalore and the en-route branches. Profitability of the company greatly depends on how efficiently the goods and cargo are moved across hubs and branches in the minimum possible time. Vehicle utilization and fuel consumption are other key factors contributing to profitability. Each trip is analyzed for parameters like total trip time to improve vehicle utilization, stoppage time at each of the branches and hubs to reduce loading/unloading times,trip idling time to ensure fuel consumption is minimized. Based on historical data, Kesineni also has put together best times to reach points en-route to minimize vehicles getting stuck at congestion points. As operations expanded, Kesineni was finding it difficult to continuously meet the operational efficiency because of lack of visibility in the operations. The delay in total trip time was sometime attributed to engine breakdown, deflated tyres while actually the driver would be taking a break at his home en-route. Excessive fuel consumption is tracked on spreadsheets and always leads to conflict with drivers and operational personnel! Kesineni promises time bound deliveries to its customers. However, lack of visibility of the vehicle location makes it very difficult to correctly answer customer queries. All these factors were indirectly affecting the Kesineni brand. AssetTrackr worked with Kesineni IT team and developed detailed analytics of all trips based on configured Hubs and Branches. Assisted with the technology provided, Kesineni team was now able to review any trip in detail and could now greatly enhance their operational efficiency. Kesineni uses AssetTrackr’s vehicle tracking system to streamline their operations. Kesineni team could easily see the current location of all their vehicles in the map.This ensured driver can no longer mislead them on their current locations. Customers can now be given more accurate information regarding their consignment. Manual calculation of Hub to Hub trip time gave way to automatically calculated trip time which was more accurate. The vehicle tracking system automatically shows stoppage time at each branch/hub. This helped them identify bottlenecks and improve operations at specific hub/branches. 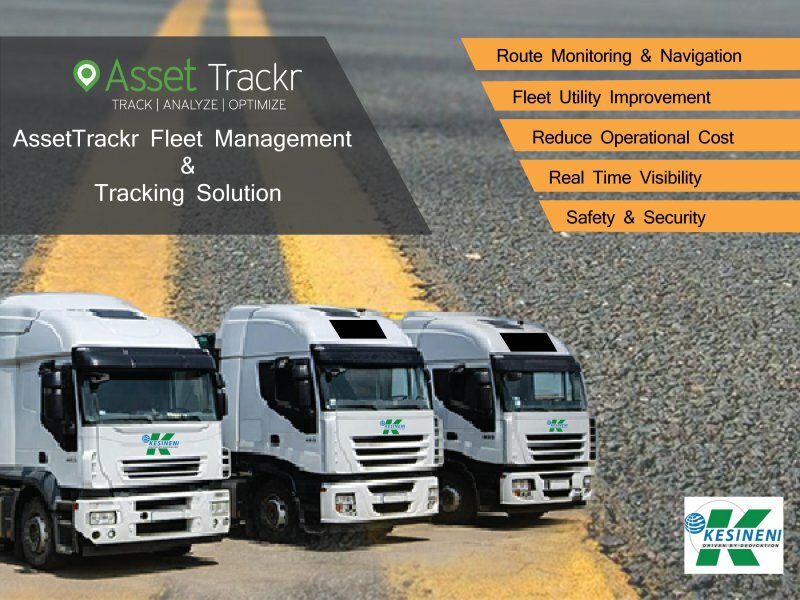 Idling time reported by AssetTrackr’s vehicle tracking system has helped them reduce fuel expenses. Ensure that the vehicles stopped at all mandated branches en-route. Detailed kilometres travelled report for each trip helped ensure drivers are not able to make unauthorized trips. The drivers can no longer do unauthorized stoppages at homes or other places not mandated by the company. Team at Hubs/branches are now informed 30 min prior to arrival (using Geo-fencing around hubs) of the vehicle so that premium consignment can be unloaded faster and delivered on time. Trip analytics helped in reducing the trip-time between hubs by an average of 30%. Drivers now adhere to the policy of taking breaks at mandated intervals thereby reducing driver fatigue and improving safety! Kesineni started using AssetTrackr GPS Vehicle Tracking System over two years ago and have been pleased with the reliability, usability and support they have received. Mrs. Pavani Kesineni, Executive Director of the Kesineni group says, “The AssetTrackr’s vehicle tracking system worked so well for us, we have deployed it on all of our long-haul vehicles and have realized tremendous cost savings”. AssetTrackr leverages GPS, GPRS, & BLE technologies to offer solutions in tracking mobile and fixed assets. The SAAS (software as a service) platform along with devices and accessories enables applications in real-time vehicle tracking, fleet management, stolen vehicle recovery, fuel consumption audit, cold-chain management, driver behavior monitoring etc. Analytics help companies realize operational efficiency resulting in significant cost savings.